"Volcanism releases gases into the atmosphere, and then through weathering, carbon dioxide is pulled from the atmosphere and sequestered into surface rocks and sediment," said Bradford Foley, assistant professor of geosciences. "Balancing those two processes keeps carbon dioxide at a certain level in the atmosphere, which is really important for whether the climate stays temperate and suitable for life." Most of Earth's volcanoes are found at the border of tectonic plates, which is one reason scientists believed they were necessary for life. Subduction, in which one plate is pushed deeper into the subsurface by a colliding plate, can also aid in carbon cycling by pushing carbon into the mantle. After running hundreds of simulations to vary a planet's size and chemical composition, the researchers found that stagnant lid planets can sustain conditions for liquid water for billions of years. At the highest extreme, they could sustain life for up to 4 billion years, roughly Earth's life span to date. "There's a sweet spot range where a planet is releasing enough carbon dioxide to keep the planet from freezing over, but not so much that the weathering can't pull carbon dioxide out of the atmosphere and keep the climate temperate," he said.According to the researchers' model, the presence and amount of heat-producing elements were far better indicators for a planet's potential to sustain life. 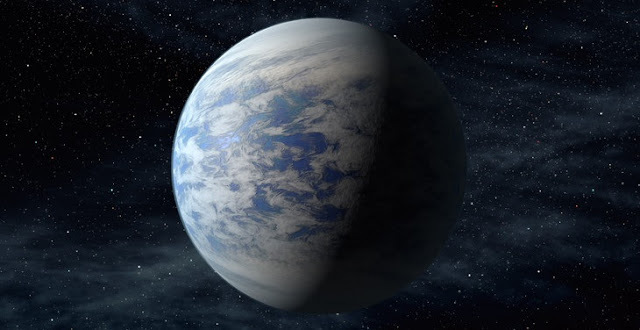 "One interesting take-home point of this study is that the initial composition or size of a planet is important in setting the trajectory for habitability," said Smye. "The future fate of a planet is set from the outset of its birth."